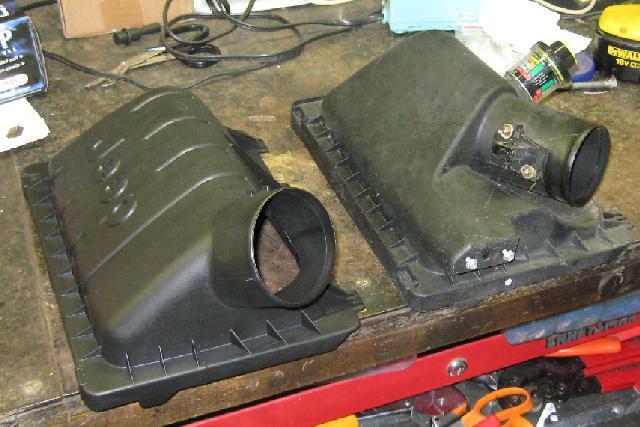 On the CRD forums owners of older gas Libertys noted the airboxes seem better designed and more free flowing than the ones on our CRDs. People have swapped in the older style and report a noticeable improvement with no rain ingestion like is common with the stock CRD setup. A while back I did my 'inexpensive air filter mod'. It was simple and a noticeable improvement over the stock setup. I decided to try the V6 airbox and see how it compares to my mod. My mod draws hot air from the engine compartment whereas the V6 airbox draws fresher air and possibly has a ram air type of effect. If the V6 airbox works as well I'll keep it since it is more stock looking. I ordered the parts from Mopar Parts America for $98, shipping included. 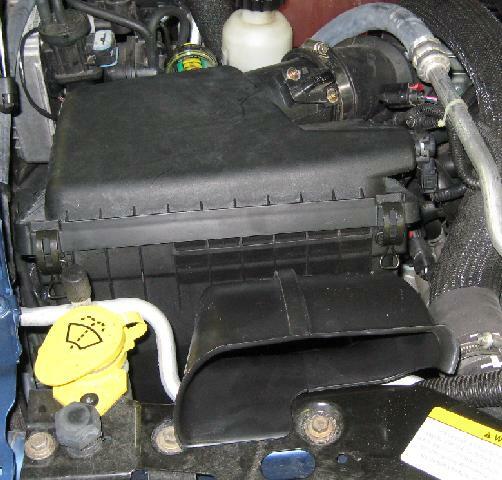 The parts needed are the air cleaner assembly (P/N 53013108AA), intake hose (P/N 53013103AA), and deflector (P/N 53013509AA). The replacement air box comes with a new Mopar filter. The filter on top is from NAPA and has more pleats which should allow more airflow. I'll be using the NAPA filter. The V6 airbox justs pops in place of the factory one. 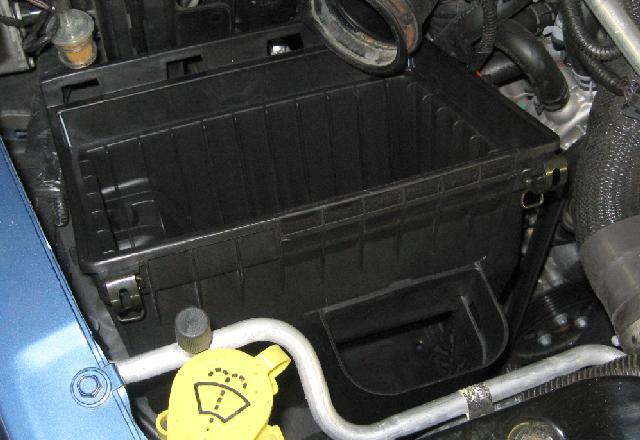 Plug in the 'inlet hose' (the 90 degree snorkel), put on the lid, and you're done. I'll report back on my findings after I've used the new intake for awhile. 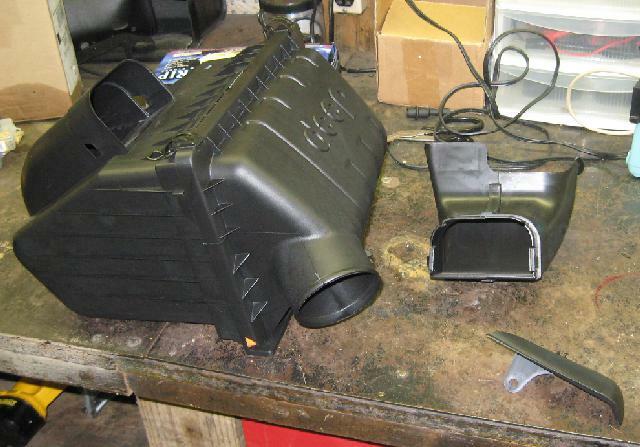 Update October 2010 - The V6 airbox is an improvement over stock, and probably what should have came from the factory. The V6 airbox does not flow as well as the 'inexpensive air filter mod'. If you're all about performance use that. If you want a mild improvement over stock that looks stock and doesn't ingest rain water then go for the V6 airbox.